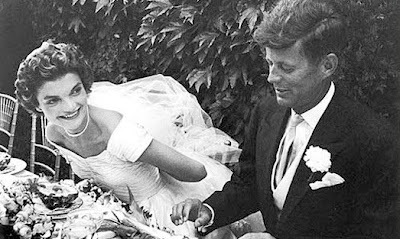 With all of the anticipation leading up to Prince William and Kate Middleton's wedding day, we thought it might be fun to take a look back at some other stately weddings and famous wedding dresses. There is much speculation over who will design Kate's dress, including the house of Alexander McQueen and its creative director, Sarah Burton. But the designer of Kate's dress will be a carefully guarded secret until April 29th! 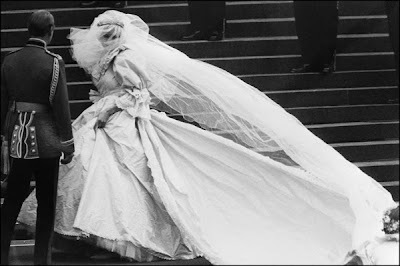 Elizabeth Emanuel and her husband, David Emanuel designed Diana's wedding dress. The iconic silk-taffeta gown had a memorable 25-foot train, puffy sleeves and scooping neckline that were trimmed in ruffled lace, and a wide, full skirt. The gown was adorned with 10,000 sequins and pearls, and lace that had belonged to Prince Charles' great-grandmother. The queen described the day to CNN's Larry King "as perhaps one of the most modest royal weddings of all time." 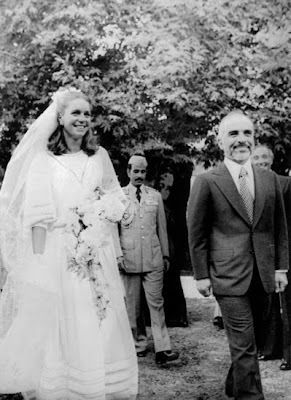 Queen Noor's dress was simple and not excessive, but it was designed by Dior! It was made of white crepe with long bell sleeves. 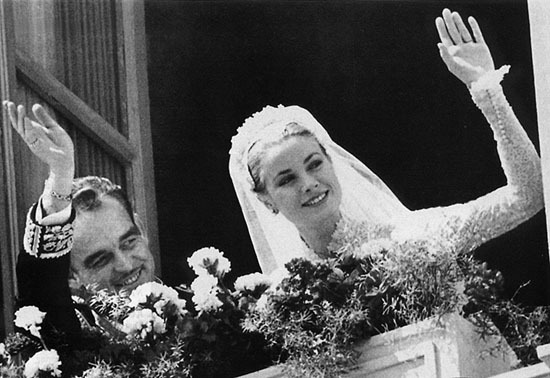 Helen Rose, a wardrobe designer at MGM designed Grace Kelly's wedding dress. The MGM wardrobe department made the dress as a gift from the movie studio. The dress was created of 25 yards of silk-taffeta, 98 yards of silk-tulle, and 300 yards of Valenciennes lace. Jacqueline Bouvier's ivory wedding gown required 50 yards of silk-taffeta and took more than two months to make. The dress had a beautiful portrait neckline and bouffant skirt. It was the creation of Ann Lowe, a dress-maker born in Clayton, Alabama. Lowe designed gowns for the high society matrons of the du Pont, Lodge, and Auchincloss families. Who do you think is designing Kate's dress? I am not sure who will be designing Kate's gown, but I do know that everyone is anxious to see what style she chooses. I adore her style, so I know it will be lovely!